1. Edmond/Edward Morland was born in Morland, Westmorland, England and died 1596. Possibly married Margaret Unknown who was buried April 6, 1570. Centre for Kentish Studies. An Amorial for Westmorland and Lonsdale, page 209. 3. John Morland born ca 1560. 4. Michael Morland bap. Sept. 24, 1564. Centre for Kentish Studies. 3. John Morland [son of Edmond/Edward Morland] was born ca 1560. 6. William Morland, Esq. born January 11, 1589/90 in Morland, Westmorland, England. 7. Bridgett Morland baptized Feb. 19, 1593 Westmorland. Married Hugh Bird Nov. 16, 1628 in Morland, Westmorland. He was the son of Roger Bird of Penrith, Cumberland. Parish Registers. Visitation of the County of Cumberland. 6. William Morland, Esq. [son of John Morland] was born January 11, 1589/90 in Morland, Westmorland, England. He possibly married Elizabeth Holme. 8. John Morland, Esq. born February 24, 1619/20 in Millflats, Morland, Westmorland, England; died March 21, 1682/83 in Millflats, Morland, Westmorland, England. 9. Edward Morland born February 24, 1624/25 in Morland, Westmorland, England; died 1679 in Coatgarth, Kirkby Stephen, Westmorland, England. 8. John Morland, Esq. [son of William Morland Esq.] was born February 24, 1619/20 in Millflats, Morland, Westmorland, England, and died March 21, 1682/83 in Millflats, Morland, Westmorland, England. He married Elizabeth Robinson June 19, 1649 in Morland Parish, Westmorland, England, daughter of Thomas Robinson and Mabel Bowerbanke. She was born ca 1620 and died September 13, 1672 in Morland, Westmorland, England. Centre for Kentish Studies, U200, F5. John's ancestors were said to be originally from the bottom of Westmorland. Centre for Kentish Studies. John was a captain in the army. A Genealogical and Heraldic Dictionary of Landed Gentry of Great Britain and Ireland, page 825. John was a protestant and his wife turned Quaker. John went by "Captain". 1641 John Morland listed on the Protestation Returns of the town of Kirkby Stephen. May 1683 John's will was probated. John of Millflat, Westmorland, yeoman. Children John, Jacob, Sarah, and Rachel. Grandchild, John Morland. Henry Holme. Jacob wasn't present at probate. Carlisle Wills LDS 90440. 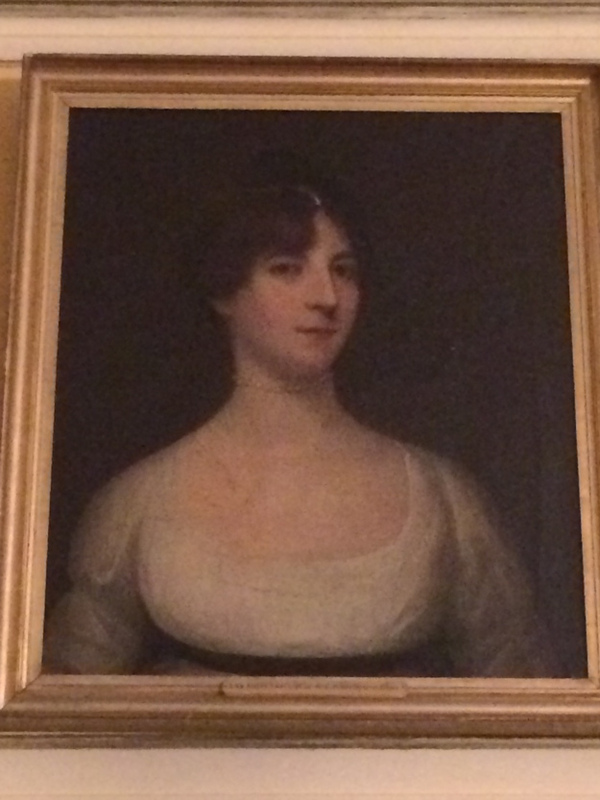 Elizabeth's grand daughter, Jane Morland Wilson, said that Elizabeth was imprisoned for turning Quaker. The boys were brought up in the established church and the girls Quaker. 1653 William son of John born. 1656 Sarah daughter of John born. 1658 John son of John born. 1660 Mabel daughter of John born. 1662 Rachel daughter of John born. 1666 Ann daughter of John born. 1670 Joseph son of John born and buried 1672. Two of John's daughters are said to have married into the Baines family. Centre for Kentish Studies. 10. Thomas Morland, Esq. born January 20, 1649/60 in Morland, Westmorland, England. 1l. Elizabeth Morland born October 15, 1651 in Newbystones, England. Married James Greenhead November 30, 1676; born in Dent, England. Comment: Elizabeth is not mentioned in her father's will, did she die? 12. William Morland born October 13, 1653; died June 1698 in Kirkby Kendal, Westmorland. 13. Sarah Morland born January 10, 1654/55. She married James Baines April 18, 1685. Society of Friends LDS 441402. 14. John Morland born November 30, 1657. John was said to be mentioned in the will of his brother, William and in his father's will. 15. Mabel Morland born March 13, 1659/60. Not mentioned in father's will. 16. Rachel Morland born May 14, 1662. 17. Anne Morland born February 11, 1665/66; died April 3, 1668 Westmorland, England. [Comment: There is also an Anne Morland daughter of Captian John Morland buried at Killigton Jan. 21, 1737.] Kirkby Lonsdale Parish Registers LDS 147166. 18. Jacob Morland, Esq. born August 26, 1668 in Millflats, Morland, Westmorland, England; died October 9, 1751 in Killington, Westmorland, England. 19. Joseph Morland born February 28, 1669/70; died August 12, 1772. 9. Edward Morland [son of William Morland, Esq.] was born February 24, 1624/25 in Morland, Westmorland, England and died 1679 in Coatgarth, Kirkby Stephen, Westmorland, England. He married Agnes Unknown ca 1651. She died 1686 in Harley, Kirkby Stephen, Westmorland, England. Morland Parish Register LDS 962101. 1679 Will of Edward Morland of Coatgarth, Kirkby Stephen, mentions son Thomas Morland, daughters Ellin Morland, Elizabeth Munkhouse, son Richard Munkhouse. Carlisle Wills LDS 90435. 1686 Will of Agnes Morland of Harley, Kirkby Stephen, widow, probated. Mentions daughters Elizabeth Munkhouse, Elinor Williamson and Ann Morland. Grandchild Edward Munkhouse and Agnes Morland. Isabell Peacock. Thomas Morland and Richard Munkhouse executors. LDS 90447 Carlisle Wills. 20. Elizabeth Morland born ca 1650. She married Richard Munkhouse. Morland Parish Registers LDS 962101. 21. 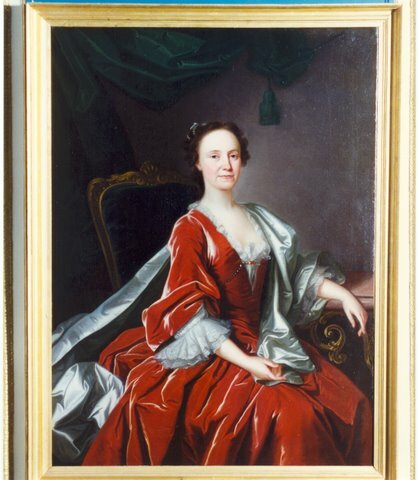 Ellen Morland born ca 1652. She married Unknown Williamson. 23. Thomas Morland born ca 1657. He married Ann Unknown. 24. 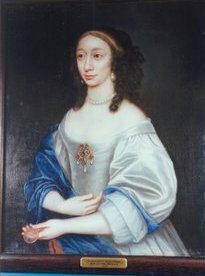 Jane Morland born ca 1658. 25. William Morland, Esq. born ca 1670. Died 1719. 12. 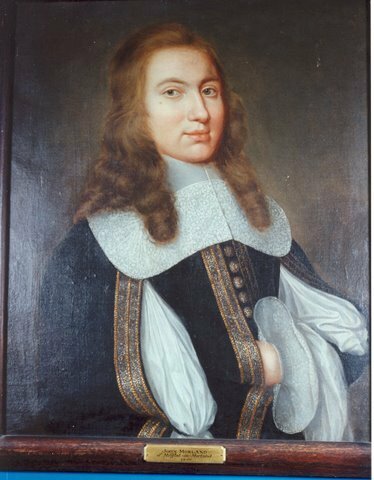 William Morland [son of John Morland and Elizabeth Robinson] was born October 13, 1653 and died June 1698 in Kirkby Kendal, Westmorland. He married Mary Unknown. She died 1742. U813 Centre for Kentish Studies. Kendal Probate Acts. 1675 and 1687 Westmorland. William Morland of Hutton-in-the-Hay, in Kirkby Kendal, merchant purchased several parcels of land in New Hutton, Kirkby Kendal. 1698 Westmorland. William Morland of Dockray Hall near Kirkby Kendal, merchant purchased a piece of land called Parrocks at Aykrigg End in Kirkby Kendal. 26. William Morland, Esq. born ca 1692; died April 9, 1774 in Court Lodge, Kent, England. 18. Jacob Morland, Esq. [son of John Morland and Elizabeth Robinson] was born August 26, 1668 in Millflats, Morland, Westmorland, England, and died October 9, 1751 in Killington, Westmorland, England. He was buried Oct. 12, 1751. He married 1] Rebecca Jowls ca 1697, daughter of Col. Henry Jowls, Chancellor of Maryland. She was born ca 1679 and died Feb. 26, 1697/98. He married 2] Anne Ward July 30, 1704 in Killington, England, daughter of Joseph Ward, Gent. She was born ca 1680 and died October 7, 1712 in Killington, Westmorland, England. Centre for Kentish Studies U200 F5; Kirkby Londsdale Parish Records LDS1471663. August 1693 Deposition by James Keech, age 40, concerning an incident at the store of Jacob Moreland in Calvert Co., Maryland. Mentioned Col. Henry Jowles. Maryland Archives Vol. 8., Proceedings of the Council of Maryland 1692-1694, Liber K page 265. Here lies the body of Rebecca, wife of Mr. Jacob Morland, Merchant and daughter of Lt. Col. Henry Jowls, Chancellor of Maryland, who departed this life February 26, 1698. She lived scarce 18 years, a maiden chaste. One year a virtuous wife then died in haste. Lest her unspotted life should stained be, with further crimes and sole eternity. Feb. 2, 1712 Jacob Morland of Capplethwaite, Killington, Westmorland, Gent. granted and sold to Richard Wilson of Appleby the Manor of Newby Stones, Parish of Morland, Millflats in the Manor of Sleagill. This Jacob was the merchant appearing in Maryland records. It appears that Jacob acquired Capplethwaite from the Ward family. 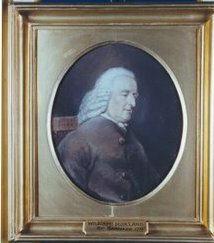 1725-1748 Jacob was a justice of the peace for Westmorland court. Appleby Court Records LDS 1472563. 1729 Jacob Morland, with others, fixed the price of wheat at 2.14.0 lb. per quarter at Kendal. Centre for Kentish Studies U 200 F23/5. 1733 Jacob Morland witnessed a deed in Hertfordshire. UK Archives. 1741 Jacob Morland lost a saddle and bridle out of John Churchman's house due to a burglary. The Proceedings of Old Bailey. 1751 Will of Jacob Morland of Capplethwaite Hall in the County of Westmorland, Esquire. Mansion called Killington. Son-in-law William Matson, Esq. and William Turner Carns of Lancaster Co., Gent. Grandson Jacob Morland. Son-in-law Walter Chambre Esq. Son-in-law Thomas Holme. 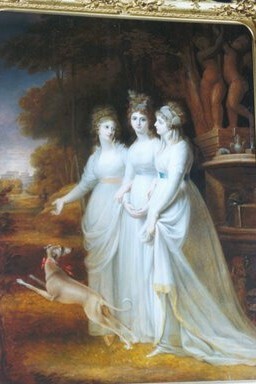 Daughter-in-law Mary Morland her two daughters and youngest son John Morland. Jacob, son of Walter Chambre and his other two sons and daughter. William Matson, his wife and two daughters. Niece Elizabeth Pialoy[?]. John and Thomas Greenwood and John Airoy[?]. Killington Church. 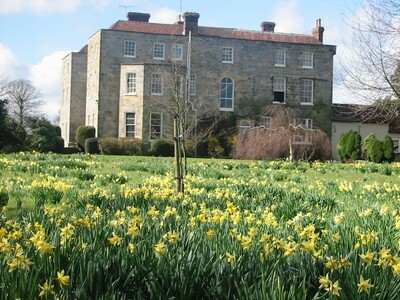 Killington Hall School. The poor of the township of Killington. Deanery of Lonsdale Wills LDS 2145824. No children came from the marriage of Jacob and Rebecca Jowls. Per Jacob's grand daughter, Jane, Col. Henry Jowls was a chancellor at Maryland and a gentleman of a very good family in Kent. He married the daughter of Sir James Cartwright, who drowned in a boating accident on the Thames. Henry then went to Maryland. 27. John Morland born July 22, 1705; died February 4, 1747/48 in Killington, Westmorland, England. 28. Mary Morland born December 30, 1706. She married Walter Chambres April 20, 1732 in Kirkby Lonsdale, Killington, England. 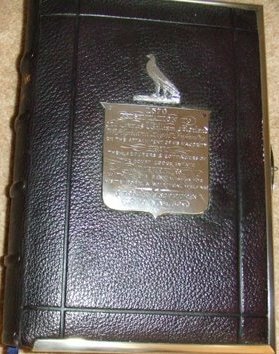 The Royal Families of England Vol. 2. Westmorland Marriage Bonds. 29. Ann Morland born August 19, 1708 and died July 28, 1791 in Titup, Lancaster, England. She married William Matson born 1719 in Titup, Lancaster, England; died February 4, 1764 in Titup, Lancaster, England.Westmorland Church Notes. 30. Elizabeth Morland born September 11, 1712; died April 12, 1783 in Kendal, Westmorland, England. She married Thomas Holme April 25, 1737 in Killington, Kirkby Londsdale, Westmorland, England. He was born ca 1711 and died March 14, 1782 in Kendal, Westmorland, England. Westmorland Church Notes. Thomas Holme was a Senior Alderman of his Burgh and one of his Majesty's Justices of the Peace for the County of Westmorland. 19. 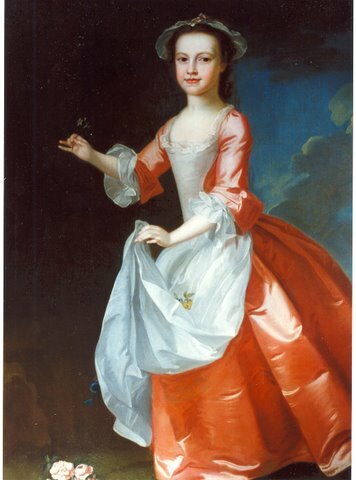 Elizabeth Morland [daughter of Edward Morland and Agnes] was born ca 1652. She married Robert Munkhouse. 31. Edward Munkhouse born before 1686. 22. Thomas Morland [son of Edward Morland and Agnes] was born 1657. He married Ann Unknown. 32. Agnes Morland born before 1686. 26. William Morland, Esq. [son of William Morland and Mary] was born ca 1692 and died April 9, 1774 in Court Lodge, Kent, England. He married Ellen Johnson May 26, 1724 daughter of Sir Thomas Johnson, founder of the modern town of Liverpool. 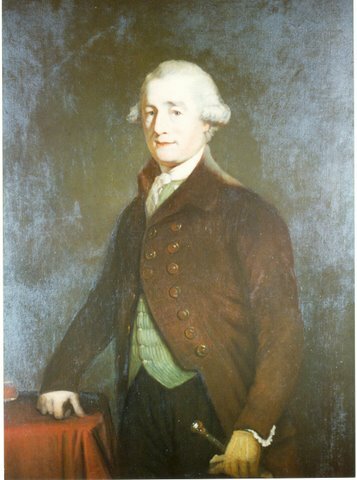 Sir Thomas Johnson was involved with Liverpool's trade in Virginia tobacco. She was born 1694 and died October 20, 1750 in Lamberhurst, Kent, England. U813 Centre for Kentish Studied. 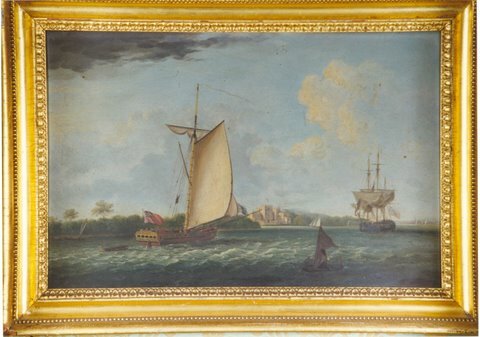 Comment: Sir Thomas Johnson is said to have been the most diligent of those smugglers who called themselves Virginia merchants. In 1715 he conveyed 130 prisoners to the plantations for 1000 lb. The book "The Tunbridge Wells Guide" states that William Morland Esq. purchased Court Lodge from Elizabeth Chaplin during the latter part of the reign of George I. It is situated near the upper end of Lamberhurst, close by the turnpike leading to Tunbridge-Wells. It belonged to the crown during the reign of Edward III. It was in the possession of Sir Henry Sidney during the 10th year of Queen Elizabeth. Lord Lisle possessed it during the reign of James I and John Porter possessed it during the reign of Charles I. Porter's daughter married Sir John Hanby and she gave it by will to Elizabeth Chaplin, a close relative. Note: William tore down the original Court Lodge and rebuilt the present one in 1730 from stone that was most likely quarried from the grounds. It was built in Queen Anne style that was common in Westmorland, but not in Kent. There are many Court Lodges in this area because it was the route to Canterbury for the Bishop's court and these lodges were a place to stay on the long trip. The provision of education in Lamberhurst can be traced back to 1712 when Lady Hamby of Court Lodge left 6 lb. in her will for the teaching of reading to the village children. The Morlands who acquired the Manor, held that the gift was void but the family continued to pay it voluntarily for the next 200 years. 1734 Wadhurst, Sussex, England. Agreement between William Morland and Dame Elizabeth Chaplin that in return for her relinquishment of her right to dower on his estates, William will give her a life interest in the farm. 1740 Release to William Morland of Dame Elizabeth Caplin's right to dower farm property. 1765 William Morland's settlement on his son, Thomas. Manor of Lamberhurst, manor house and property in Lamberhurst, Brenchley and Horsmonden. 1774 Will of William Morland, Esq. probated in Canterbury Court. Son Thomas Morland main heir. Grandsons William Morland, Henry Hutton, Thomas Hutton, Frederick Gildart. 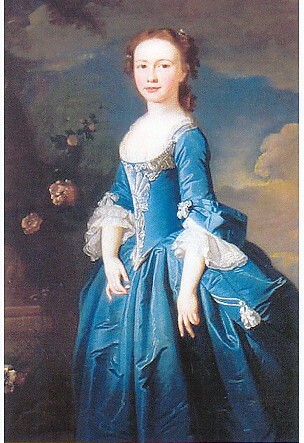 Daughter Elizabeth Hutton. Daughters Mary and Ellen Gildart and grand daughter Ellen/Eleanor Hutton. 33. Elizabeth Morland born September 1727. 34. Mary Morland born 1729; died Nov. 24, 1796. 35. Ellen Morland born March 4, 1731/32 in Lamberhurst, Kent, England; died February 1797. She married Francis Gildart, Esq. July 1763; died May 25, 1780.Lamberhurst Parish Register LDS 992526. 36. Thomas Morland, Esq. born June 23, 1734 in Lamberhurst, Kent, England; died January 18, 1784 in Lamberhurst, Kent, England. 27. John Morland [son of Jacob Morland and Anne Ward] was born July 22, 1705 and died February 4, 1747/48 in Killington, Westmorland, England. 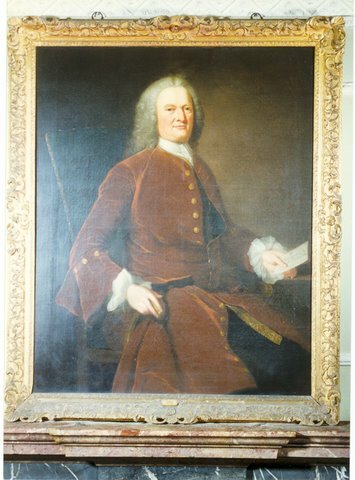 He married Mary Fish ca 1732. She was born 1706 in Yorkshire and died January 29, 1765 in Kendal, Westmorland, England. 1741 John Morland of Capplethwaite, Killington, Gent. owner of water corn mill called Capplethwaite Mill and Edward Richardson of said mill, miller vs Bryan Moore, malster, over diverting some water courses to said mill. UK Archives. 37. Jane Morland born March 1, 1733/34. Jane married Boyan Wilson, Esq. of Kendal. 38. Ann Morland born ca 1735..
39. Jacob Morland born July 18, 1740 in Killington, Westmorland, England. Died July 17, 1780 in Killington, Westmorland, England. 40. John Morland, Jr. was born July 26, 1742 in Killington, Kirkby Lonsdale Parish, Westmorland, England. Kirkby Lonsdale Parish Registers LDS 1471663. John received 50 pounds from grandfather, Jacob's will. 41. Mary Morland born February 3, 1743/44 in Killington, Kirkby Lonsdale Parish, Westmorland, England. Ibid. 33. Elizabeth Morland [daughter of William Morland and Ellen Johnson] was born September 1727. She married Thomas Hutton, Esq. of Gate Burton, Lincoln Co. April 17, 1749. He was born 1715 to Thomas Hutton, Esq. and Elizabeth Rayner. Thomas died 1774. The Huttons were a highly respectable family, long seated in Lincolnshire. 34. 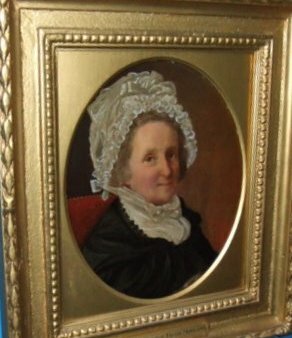 Mary Morland [daughter of William Morland and Ellen Johnson] was born 1729 and died November 24, 1796. She married 1] Robert Bagshaw, Esq. January 13, 1750/51. She married 2] Richard Gildart, Esq. M.P. December 17, 1767. He died January 11, 1771. 44. Rev. Frederick Gildart. He was living in 1822, widowed in Lincoln. U200 F5 Centre for Kentish Studies. 36. Thomas Morland, Esq. 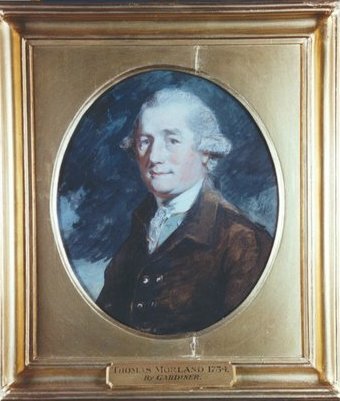 [son of William Morland and Ellen Johnson] was born June 23, 1734 in Lamberhurst, Kent, England, and died January 18, 1784 in Lamberhurst, Kent, England. He married Anne Matson June 12, 1766 in Lamberhurst, Kent, England daughter of William Matson, Esq. of Titcup, Furness, Lancaster Co. and Ann Morland. She was born ca 1744 in Titcup, Lancaster, England and died April 30, 1808. Lamberhurst Parish Registers LDS 992526. Kent Parish Records. 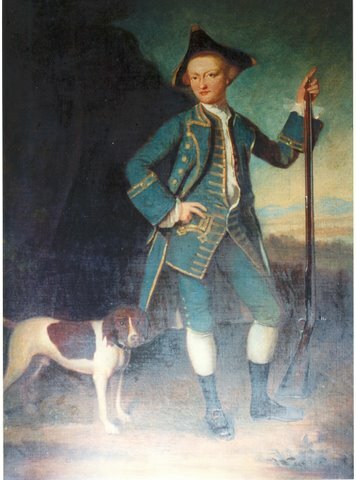 1765 Thomas received the manor of Lamberhurst and property in Lamberhurst, Brenchley and Horsemonden from his father, William. 1766 Marriage settlement of Thomas Morland and Ann Matson daughter of the late William Matson, Esq. of Titcup Hall, Dalton-in-Furnace, Lancaster. 1772 Lamberhurst, Kent. Thomas was the Court Baron of the Manor of Lamberhurst. LDS 1836219. 1784 Will of Thomas Morland, Esq. probated at Canterbury. Mentions wife Anne Morland, all real property in Westmorland and Lancashire [subject to annuity payable to Anne Matson of Kendal, widow of William Matson in lieu of dower]. Eldest son and other children, not named. 1792-1803 Releases to William Alexander Morland by his brothers and sisters for the payment of portions due to the younger children of Thomas Morland. 45. William Alexander Morland, Esq. born ca 1768; died 1847 in Court Lodge, Kent, England. He married Lydia Catherine Marriott, daughter of the Rev. James Marriott, LLD and Catherine Bosworth, ca 1792; born ca 1774 and died May 25, 1843. William was the oldest son. 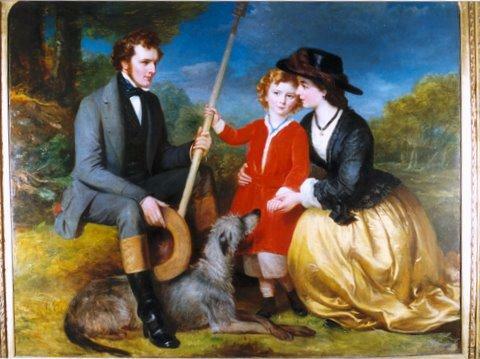 In the 1820's William Alexander Morland set out to pedigree his family. The Centre for Kentish Studies has copies of the various letters that William A. received during his search. In one, dated 1829, from John Morland in Yorkshire, I quote "We both spring from a common stock at Morland near Appleby, Westmorland and the arms were only lately there engraved on a stone over a fireplace. There were two brothers. Your ancestors went to London and was a practicing Counsellor in London......and finally purchased Court Lodge. My ancestor went to be a merchant and by marriage with a Miss Rainer obtained Strangerthwaite[? ], his son got by marriage Capplethewaite and some property near Bentham in Lancaster. The son of this last got by marriage, Killington Hall, Borsley Hall[?] Colton Hall, Penigent [?] and several other estates by marriage with Miss Fish several other valuable estates in Westmorland.........I have never, as yet, ascertained the name of our ancestor who sold the property at Morland............I am now the only male person bearing the name of Morland sprung from that family now left in this part of the globe. The shadow of their former substance." In another letter from John Morland to William Alexander in 1829, John signs off writing of receiving a copy of the family pedigree "it may only gratify the Idle Pride and Vanity which I suppose has descended as the only family relic left, me. Allow myself and wife to offer our respect to Mrs. Morland and I remain yours most sincerely." In this same letter, John explains the following discoveries: from a deed dated 1712 Jacob Morland of Capplethwaite in Killington sold land in the parish of Morland, the place hereafter called Millflats. "Therefore there can be little doubt but Jacob Morland descended from John Morland of Millflat whose wife embraced the Quakers Religion hence the registers which have been found in the books of the Society of Friends and I shall therefore make out his pedigree in that line and not from the family of Morland who were located at Great Stickland, a township also in the Parish of Morland but in a different manor or lordship to Millflat and not in Slegill. The families at Millflats and Great Strickland were most probably related but I never saw any deeds or writings in the custody of my family which at all described them of Great Stickland but on the contrary always described them of Newbystones or Millflats. The correct line of descent, of which family, I sent you......I went to Morland and saw at Bolton a gentleman who had made out a pedigree and sent it to Mr. Maude but on inpecting some old gravestones at a place which had formerly been a Quaker burying ground there appeared to have been a family of the name of Morland buried there some of whom had evidently been Quakers and owners of Millflat and the registers of this family were no where to be found amongst the registers in the Church of England. There appears to be a ......in the dates of that copy of registers...I with some difficulty obtained a copy of the registers of the Millflat Family out of the Quakers books kept at Penrith. After having the copies of the registers of births, marriages and burials of both these families it left me in doubt which was the right descent but in searching amongst all the old family useless deeds which remained in my possession, I found one, of which I have sent you the above extract which when taken together with the ancient history written by Miss Jane Wilson, clearly proves my family were the owners of Newbystones and Millflats. Your ancestor was Thomas Morland the eldest son of John Morland of Millflats commonly called Captain Morland. We have no direct link with the Great Strickland family mentioned in the Parish Church Registers of late date because I know that in 1690 your ancestor was practicing as a Barrister and my ancestor following the Virginia and Maryland tobacco trade, and my ancestor having by his merchandize obtained sufficient, I suppose, to enable him to become possessed of the family estate in 1712 sold Millflat as appears by the above deed at any rate the pedigree written out by Mrs. Jane Wilson though erroneous in some respects says that Capt. Morland's wife turned Quaker hence the Registers of baptism and burials and marriage in the Quakers book. The Quakers religion commenced only in 1642 or 1652. I forget which and have not time to ascertain it. The registers of baptisms of the Great Strickland family are of much later date than 1790 and therefore, neither your ancestors nor mine could be buried there...............and it appears that this old gent wished to be laid near his wife, suffered himself to be ...up in the Quakers burying ground and it appears by this last register that John Morland's father of Millflats Christian name was William.........."
Beginning in 1790 William Morland, Esq. was on the tax list for Lamberhurst. LDS 1067590. 1792-1803 William Alexander Morland receives releases from his brothers and sisters for the payment of portions due to the younger children of Thomas Morland. 1792 Marriage settlement of William Alexander Morland and Lydia Catherine Marriott. Gregories farm 159 acres in Wadhurst, Sussex; 200 acres in Playden, Sussex; Maddersham farm 10 acres and farm called Langley Brook 98 acres and 12 acres all in Beckley, Sussex to be charged with an annuity of 130 lb. 1799 William took oath of qualification as Justice of the Peace at Crown Inn. 1801 William Alexander Morland purchased 5 acres in Lamberhurst called Calves Acre and subsequently incorporated in the Park. 1802 William Alexander Morland ppurchased Hoghole farm 18 acres in Lamberhurst. 1807 William Alexander Morland purchased property in Lamberhurst. 1809 Property in Lamberhurst mortgaged to William Alexander and deeded to him in 1810. 1812 William A. purchased Windmill Lands, 24 acres in Lamberhurst. 1812 Lamberhurst, Kent Manorial Documents. Rev. Dr. James Marriott, formerly Lord of this Manor, gave the following tenements to William Alexander: Spelmonden, Hammerden, Bridglands, Elphicks, Feren Reads. LSD 1836219. 1819 Lamberhurst, Kent. William Alexander Morland, Esq. was the Court Baron of the manor of Lamberhurst. 1822 One acre in Lamberhurst and Horsemonden formerly part of the old turnpike road, from trustees to William A. 1839 William Alexander purchased Cutthorn, 1 1/2 acre in Lamberhurst. Feb. 1847. Will of William Alexander Morland probated in Canterbury Court. Mentions nephew William Courtney Morland. Two sisters Jane Eliza Farnaby and Mary Morland. 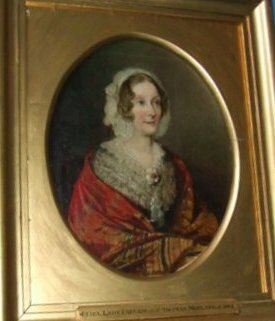 Sister-in-law Lady Caroline Eustaria Morland. George Morland [no relationship mentioned.]. Henry Morland. Servants, School of Lamberhurst and the poor of Lamberhurst. Since there was no mention of children, I assume there were none surviving. William Alexander left 200 lb. for the school at Lamberhurst, wanting to provide a suitable tribute to him, his family decided to augment this by adding a second story and clock tower to the school building. The clock is dated 1863. 46. Henry Morland born 1772 and died Aug. 14, 1821 in Horsmonden, Kent, England. He married Harriett Francis Marriott, daughter of the Rev. James Marriott, LLD and Catherine Bosworth on June 14, 1810; she was born 1771 and died Jan. 6, 1852 in Horsmonden, Kent, England. 1792 Henry Morland, student of St. John's College, Cambridge release to William Alexander Moreland. Henry received a B.A. in 1794 and a M.A. in 1797 at St. John's. He was ordained deacon at Rochester Sept. 29, 1794; priest Sept. 29, 1796; curator of Horsmonden, Kent from 1794; rector of Horsmonden 1809-21. St. John's Coll. Adm., IV 388; G. Mag., 1821, II 189. 47. Thomas Morland born ca 1772 and died as an infant. 48. Charles Morland, Esq. born November 1774 and died June 14, 1828. 49. Jane Eliza Morland born ca 1776 died 1861. She married Rev. Sir Charles Francis Farnaby Dec. 29, 1810. 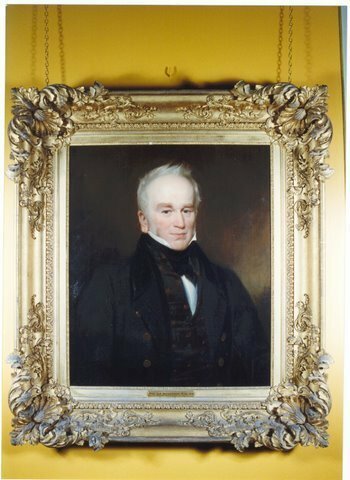 He died Aug. 29, 1859 at Wickham Court when the baronetcy became extinct. Cambridge University Alumni. U200 F5 Centre for Kentish Studies. 1803 Eliza Morland releases to William Alexander Morland. 50. 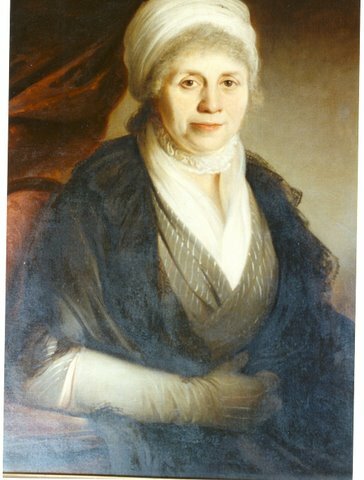 Margaretta Morland born ca 1778. She married Col. Thomas Austen of Kippinton near Sevenoaks in Kent. He was a cousin of Jane Austen. U813 Centre for Kentish Studies. 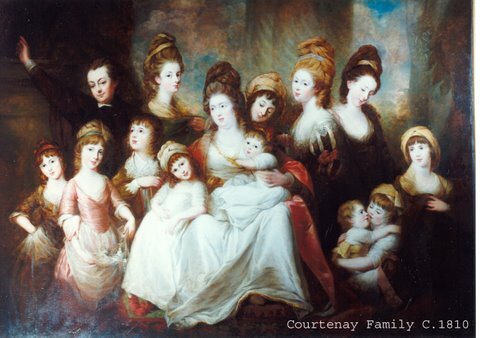 Morland Family of Kent. 1799 Margaret Morland release to William Alexander Morland. 51. Anna Eleanora Morland born ca 1780 and died 4 Nov. 1817 [per Terry Townsend from memorial plaque on the wall of St. Nicholas Church in Sydling]. She married Sir John Smith of Sydling Court ca 1799. U813 Centre for Kentish Studies. U200 F5 Centre for Kentish Studies. 1799 Marriage settlement of Sir John Smith and Anna Eleanora Morland. Arrangements to secure an annuity of 500 lb. She was John's second wife. 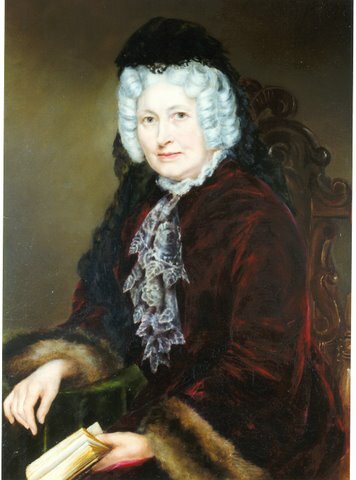 His first wife, Elizabeth Curtis died in 1796. There were no children from either marriage. 52. Mary Morland born ca 1782 and died 1852 in Kent, England. U200 F5 Centre for Kentish Studies. Mary was not married in 1847 per her brother, William Alexander's will. 39. Jacob Morland [son of John Morland and Mary Fish] was born July 18, 1740 in Killington, Westmorland, England and died July 17, 1780 in Killington, Westmorland, England. He married Dorothy Brisco November 16, 1761 in Carlisle, England, daughter of John Brisco. She was born ca 1740 and died March 9, 1823 in Killington, Kendal, Westmorland, England. U200 F5 Centre for Kentish Studies. Carlisle Marriage Bonds LDS 1657624. Jacob's grandson, John Morland, said that his grandfather managed to spend the accumulating portions of all former marriages and all their savings in the short space of about 17 years. 1751 Jacob received homes, capital, etc. in grandfather, Jacob's will. 1763 Jacob has his portrait painted by Romney. See above link. Lonsdale Probate Act Book, page 21. October 13, 1780. Administration of the goods of Jacob Morland late of Capplethwaite in the parish of Kirkby Lonsdale, Gentleman, deceased was granted to Dorothy Morland, widow of the said deceased. Inventory above 300 lb. Kendal Probate Act Book, page 386. March 20, 1823. Before the Reverend John Hudson, clerk surrogate, the last will of Dorothy Morland late of Kendal in the county of Westmorland, widow, deceased was proved and the execution thereof committed to John Morland the sole executor therein named. Inventory under 1,500 lb. Died March 9, 1823. Will of Dorothy Morland [nee Brisco] probated Oct. 16, 1823. Dorothy Morland of Kendal, Westmorland, widow appointed grandson John Morland of Kendal as sole executor. Daughter Dorothy Shakerley of Somerford Hall in Chester Co. Daughter Harriet Bennet. Grandson George Bennet. Daughter-in-law Mrs. Morland, widow of late son, John Morland. Granddaughters Mary Morland and Caroline Morland. Brothers Sir John Brisco and General Brisco late of the East India Co. Grandson John Rankin, Esq. Grandson Frances Rankin. Burial at Killington Chapel between the remains of her two late daughters Mary and Margaret. 53. Mary Morland born September 16, 1762 in Killington, Kirkby Lonsdale Parish, Westmorland, England. Died June 7, 1785 in Knanesboro, England. Kirkby Lonsdale Parish Records, Killington Baptisms LDS 1471663. 55. John Morland born December 21, 1764 in Killington, Kirkby Lonsdale Parish, Westmorland, England. Died May 20, 1819 in Matland, Kendal, Westmorland, England. 56. Dorothy Morland born August 2, 1767. She married Charles Watkin John Shakerley 1790. He was born June 15, 1767 in Chester Co., England and died 1835 in Cheshire, England. History of the Commoners of Great Britain and Ireland page 9. 57. Margaret Morland bap. Jan. 10, 1769 in Kendal, Wesmorland. Died February 27, 1803 in Kendal, Westmorland, England. Kendal Parish Records LDS 543859. Kendal Probate Act Book, page 71. June 3, 1803. Before the Reverend Henry Robinson, clerk surrogate, the last will of Margaret Morland, heretofore of Capplethwaite but last of land area in Kendal, spinster, deceased was proved and the execution thereof committed to Dorothy Morland sole executrix in the said will named. Inventory under 600 lb. 58. Jacob Morland born February 17, 1770. Died 1800. Jacob's will was written Sept. 1798. He was Lieutenant in Majesty's 77th Regiment of Foot, serving out the Bombay Establishment in the East. His will mentions youngest brother Brisco and Margaret daughter of the late Jacob. His will was probated in London. 59. Harriet Morland, bap. August 24, 1771 in Killington, Westmorland. She married George Bennett 1799 in Kendal. LDS 1471666 Kirkby Lonsdale Parish Registers. Researcher, Siobhan Montgomery, provides the following from The Theatrical Times, 1846, page 242: "George Bennett was born at Ripon in Yorkshire, on 9th March 1800. He is the son of Mr. George Bennett, who was the favourite comedian of the Norwich circuit for thirty years, and who married Miss Henrietta Moreland of Kendal, the daughter of an ancient family in Westmoreland, and whose sister was the late Lady Shackerley of Somerford Hall in that Country..."
60. Brisco Morland bap. September 23, 1774 in Killington, Westmorland, England. Died March 6, 1804 at Sea during his passage from Bengal. He married Eliza Boyles November 30, 1797 in Bengal, India. LDS 1471666 Kirkby Lonsdale Parish Registers. Will of Brisco Morland probated May 12, 1804. Brisco Morland, Captain in his Majesty's 76th Regiment of Foot, now living in Cawnpore, East Indies. Mentions mother Dorothy Morland of Kendal. Sister Margaret Morland residing with their mother. Sister Harriot Bennet. Brother John Morland and sister Dorothy Shakerley "I bequeath my blessing for as they forgot me whilst I was living they cannot remember me while dead." Wife Eliza "I beg that she never returns to live with her father and Mrs. Boys. [sic] During her residence with them, their conduct towards her was so thoroughly unprincipled and infamous that ....she should subject herself to such behavior from them again." 48. Col. Charles Morland, Esq. [son of Thomas Morland and Anne Matson] was born November 1774. He died June 14, 1828. 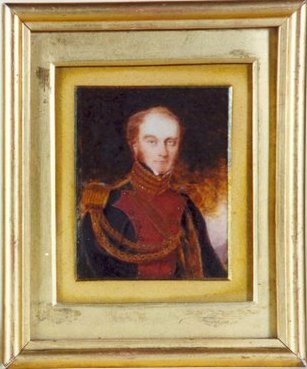 He married Caroline Eustatia Courtenay January 3, 1812, daughter of William Courtenay, 2nd Viscount, de jure 8th/27th Earl of Devon and wife Frances Clack. She was born March 26, 1775 and died March 6, 1851. The Courtenays crossed from France to England with Eleanor, wife of Henry II, in 1152 and established themselves among the most eminent families in Devon. U813 Centre for Kentish Studies. Charles was a Lieut.-Col. 9th Lancers, Aide-de-Camp to King George IV. 1796 Charles Morland, a Cornet to H.M. 12th Regiment of Light Dragoons, releases land to William Alexander Morland. 1812 Marriage settlement of Major Charles Morland and the Hon. Caroline Courtenay. Settlement of a C.C. 's portion of 6000 lb and an annuity of 1000 lb. July 1826 Will of Charles Morland, Esq. proved in Canterbury Court. Written April 1815 by Charles Morland Esquire Lt. Col. of his Majesty's Ninth Regiment of Dragoons. Mentions brother William Alexander Morland of Court Lodge, in the County of Kent, Esq. and William Courtenay Morland of the County of Middlesex, Esq. 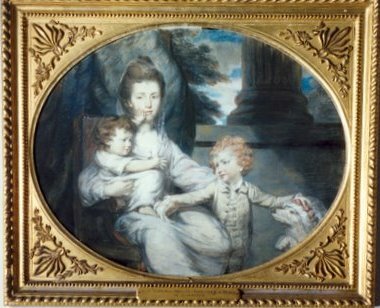 Wife, the honourable Caroline Morland and children, unnamed. 61. William Courtenay Morland, Esq. born March 13, 1818 in Westminster St. James, Middlesex, England. Died September 30, 1909 in Court Lodge, Lamberhurst, Kent, England. 62. Caroline Ann Morland. Died unmarried 1841. 63. Isaac Morland. U200 F5 Centre for Kentish Studies. 55. John Morland [son of Jacob Morland and Dorothy Brisco] was born December 21, 1765 in Killington, Kirkby Lonsdale Parish, England, and died May 20, 1819 in Matland, Kendal, Westmorland, England. He married Mary Upton 1785, daughter of John Upton, Esq. of Ingmire Hall, M.P. for Westmorland and Mary Noble of Weston, Durham. She was born 1764 and died 1830. Kirkby Lonsdale Parish Records, Killington Baptisms, LDS 1471663. An Amorial for Westmorland and Lonsdale, page 209. July 27, 1819. Kendal Probate Act Books page 327. Before the Reverend John Hudson, clerk surrogate, the last will of John Morland late of Matland in the parish of Kendal in the county of Westmorland, Esquire deceased was proved and the executrix thereof committed to Mary Morland, widow, sole executrix, therein named. Inventory under 500 lb. Died May 20, 1819. 64. Mary Elizabeth Morland born September 27, 1783. 65. Charlotte Morland born August 29, 1790. 66. Caroline Morland born October 16, 1793. 67. John Morland died 1859. 61. William Courtenay Morland, Esq. [son of Charles Morland and Caroline Courtenay] was born March 13, 1818 in Westminster, St. James, Middlesex, England. He died September 30, 1909 in Court Lodge, Lamberhurst, Kent, England. He married Margaretta Eliza Cator June 27, 1843, daughter of Gen. Sir William Cator, of the Royal Artillery. She was born 1823 in Ringmer, Sussex, England and died January 16, 1897. A Genealogical and Heraldic Dictionary of Landed Gentry of Great Britain, page 825. U813 Centre for Kentish Studies. 1847 William was the main heir in the will of his uncle, William Alexander Morland. 1848 William Courtenay Morland purchased the Tylehouse in Lamberhurst. 1849 Release of quitrents, reliefs and heriots on property held of the manors of Bayham and Mayfield by the Marquis Camden to William Courtenay Morland. Rawley Place in Brenchley, Kent, and other lands in Brenchley, Crouch Field in Lamberhurst, all within the manor of Bayham. Owls Castle farm and Dungates farm in Wadhurst, Sussex and land near Best Beech Hill in Wadhurst. 1853 William Courtenay Morland purchased Greenwoods and Stanley's farm, 45 acres, in Lamberhurst. 1861 William Courtenay Morland purchased land in Lamburhurst. 1862 William Courtenay Morland purchased 7 newly erected cottages in Lamberhurst. 1869 William Courtenay Morland purchased 1/2 acre enclosed from Lamberhurst Down and 2 houses. 1870 William Courtenay Morland purchased Spring Hill Cottage in Lamberhurst. Margaretta Eliza Morland 47 landowner, born Sussex. Charles William Morland 22 ensign in army, born Kent. Henry Courtenay Morland 16 scholar at Eton, born Kent. Caroline Brooks 18 kitchen maid. 1877 Deed of enfranchisement of lands within the manor of Bayham by the Trustees of the Marquis Camden to William Courtenay Morland consisting of lands in Brenchley, Kent, lands in Lamberhurst, lands on which a cottage formerly stood in Lamberhurst, lands called Cold Harbour in Brenchley and Lamberhurst, lands called Blitchenden in Brenchley. 1880 William Courtenay Morland purchased land in Lamberhurst. 1895 William Courtenay Morland purchased blacksmith's forage and land formerly part of Pack's Pasture. 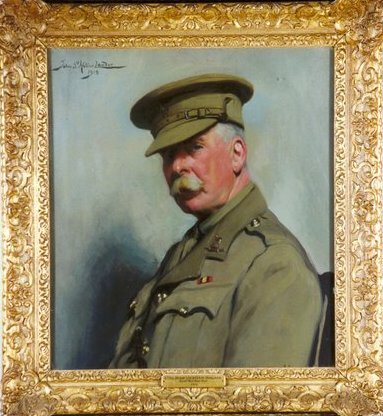 March 17, 1900 William Courtenay Morland conveyed a freehold reversion of a lease of Battle Meads, to George Cubitt baron Ashcombe. 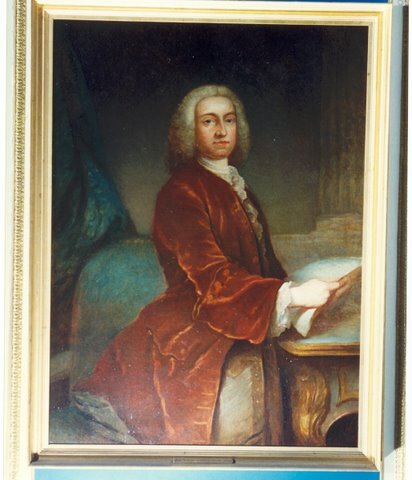 In 1738 Thomas Fairfax/Lord Fairfax grandson of Thomas Culpeper/Lord Culpeper conveyed the reversion of the lease to William Morland of St. Andrew Holborn, gent for 250 lb as well as Sussex, land in Warwickshire, Kent and Lincolnshire. The estate descended in the Morland family until the 1900 conveyance. 69. Charles William Morland born February 6, 1849 in Pickhunt, Kent, England and died 1926. He married Ada Mary Sperling, daughter of Henry D.W. Sperling, June 14, 1882. She was born 1856 in Kent, England and died 1923 in Kent, England. An Armorial for Westmorland and Lonsdale page 209. The Royal Blood page 107. 1888 Purchase by the trustees of the marriage settlement of Charles William Morland and Ada Mary Sperling of two fields near Pudding Lane, Lamberhurst. The story goes that Charles William and Ada were lovely people and had no children. Ada died tragically - she was burnt to death in front of the fire in the library in 1923. Charles tried to save her but instead of wrapping her up in a carpet on the floor, he sat her up and that made it worse. He died 3 years later. They are buried in the churchyard at Court Lodge, not in the family vault but in a separate grave with a tall cross. 70. 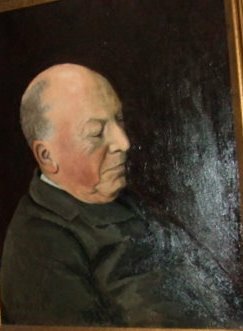 Henry Courtenay Morland born March 21, 1855. Died June 30, 1934. 73. Margaretta Caroline Penelope Morland born July 1852; died March 13, 1853. 67. John Morland [son of John Morland and Mary Upton] died 1859. He married Elizabeth Thompson. An Armorial for Westmorland and Lonsdale. Page 209. John was a barrister at law and was of Laburnum House, Milnthorpe. 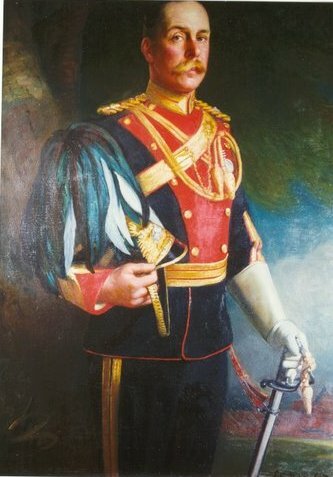 John served in the Bengal Army 1849-99. He died unmarried. 73. Captain Sir Henry Morland born April 9, 1837 in Westmorland, England; died July 27, 1891 in Bombay. Henry was in the Indian Navy, Port Officer of Bombay and was knighted 1887. Henry gained the rank of Colonel in the service of the 9th Lancers and held office of justice of the peace. In 1890 Colonel Henry Morland built the first nine hole Lamberhurst Golf Course in the park of his family manor house, Court Lodge. This was a club for the gentry of the area and membership was limited to fifty. Poet Siegfried Sassoon was a regular visitor to the course in the early days. He recalled the course being maintained by sheep. 74. Violet Alice Morland born November 12, 1886 in London, England. She married Major Robin Alexander Grahame Wilson December 14, 1914. Morland, Violet 14 pupil born Kent. August 13, 1915 Violet Morland received 500 lb. from the will of her grandfather, William Nevill, 1st Marquess of Abergavenny. 75. William Morland born May 28, 1903. 76. John Courtenay Morland born December 18, 1904 in Cheshire. 1887 Henry Moreland was knighted. 77. Captain Henry Morland born 1876 in Bombay. Maria Thompson widow 59 born Cornwall, annuitant.